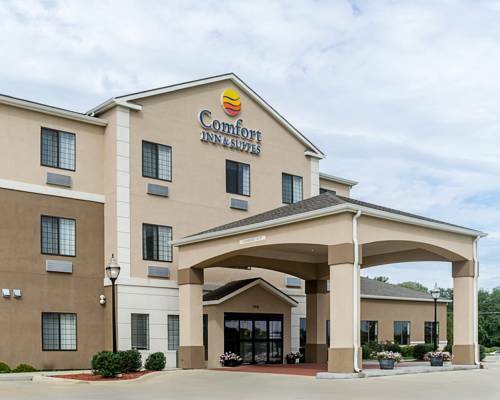 Behind every great day is a great night at the Comfort Inn and Suites University Area hotel in Lawrence, KS located off Interstate 70. This pet-friend, smoke-free hotel is near destinations like Allen Fieldhouse, Lied Center of Kansas, Natural History Museum and Lawrence Arts Center. Enjoy amenities like free hot breakfast, free WiFi, indoor heated pool, fitness center and business center. Rooms come equipped with a microwave, refrigerator, coffee maker, hair dryer and a desk. Also, earn rewards including free nights and gift cards with our Choice Privileges Rewards program.